You are currently browsing the category archive for the ‘Joshua Liner’ category. 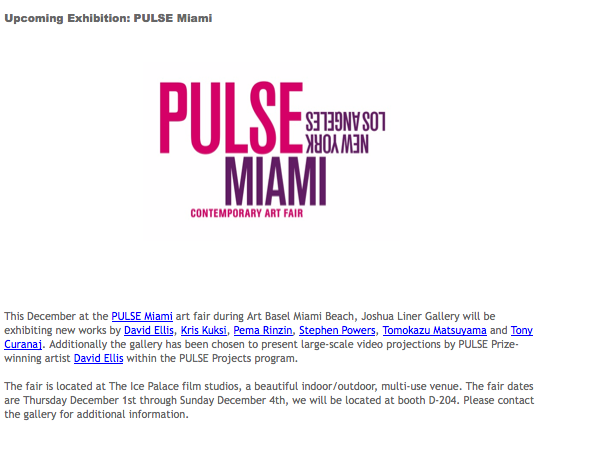 Artist Pema Rinzin at Pulse MIAMI 2011 Contemporary Art Fair represented by Joshua Liner Gallery. 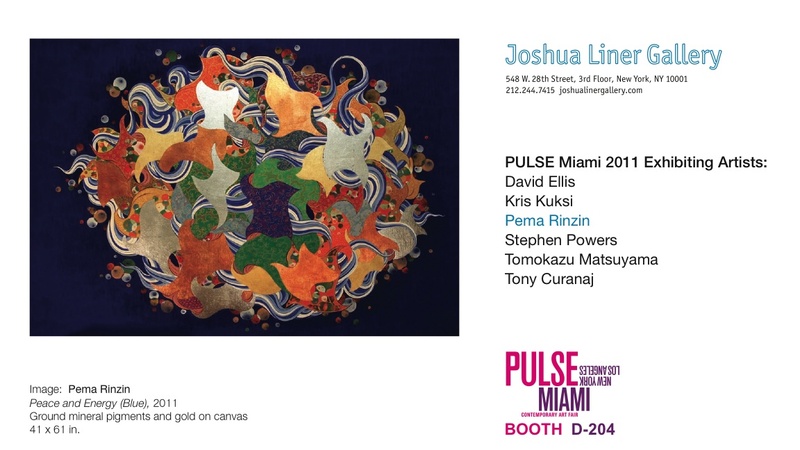 On thursday, Dec 1st-Dec 4th at the 2011 Pulse Art Fair in Miami; Joshua Liner Gallery will be exhibiting more than six of my art works along with five other incredible Artists who are by David Ellis, Kris Kuksi, Stephen Powers, Tomokazu Matsuyama and Tony Curanaj.